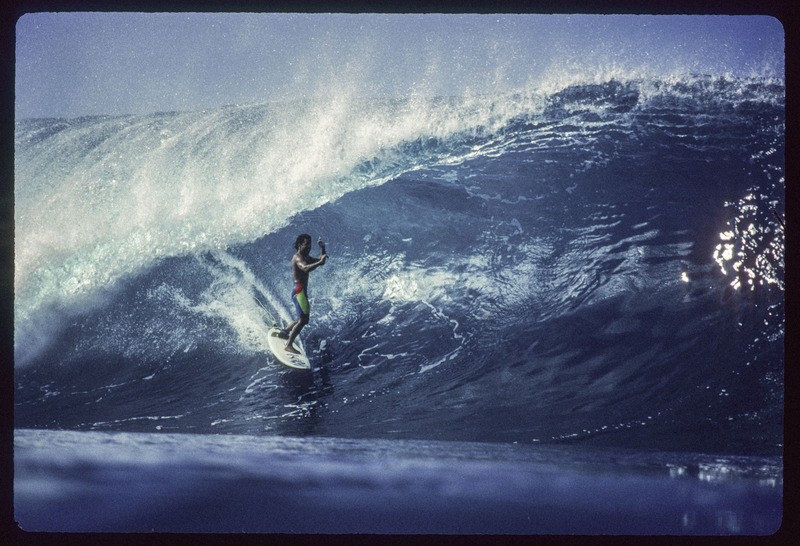 Derek Ho was heir to Pipeline after the Gerry Lopez era. You can still see him out there ripping on every big swell. This image was used for the Surfers The Movie poster.